Are you always tired no matter how much rest you get? A busy lifestyle and poor nutrition can contribute to low energy, but IV drips and vitamin injections at The IVy by HHMD in Glendale, California, can give you the boost you need. The IVy team has more than 10 years of experience with IV drips and injection therapy so you can get reliable, trustworthy care when you want it. Call or set up an appointment online today to learn more. Why do I have low energy? If you’re feeling tired, run down, or having trouble focusing, it may be due to your lifestyle. Today’s hectic pace with constant work, email access, traffic, and stress can leave you with low energy despite your best efforts. Chronic stress depletes your body’s resources, especially nutrients and fluids, due to the effects of stress hormones, caffeine intake, and poor sleep quality. Stress hormones—like cortisol—increase the “fight or flight” response and burn through your energy reserves quickly. Additionally, caffeine intake for increased energy can lead to dehydration and irregular sleep, especially if you drink more coffee or tea than water or consume caffeine later in the day. All of this creates a vicious cycle in which your natural energy reserves are reduced, leaving you more tired than before. This lifestyle uses up essential nutrients more quickly and replacing those nutrients through proper diet becomes difficult. Without enough vitamins and fluids, your body cannot function optimally. This can lead to injuries, poor work performance, weight gain, and illness. How can IV drips and injections improve my energy? Adding IV drips and vitamin injections into your routine can interrupt the vicious cycle of chronic stress to restore your energy levels. The IVy team starts with IV fluids to improve your hydration levels, which will increase your blood volume and allow for better intravenous nutrient absorption. IV infusions and vitamin injections—like B12 and vitamin B complex—allow for quicker nutrient absorption than eating. These treatments can replenish vitamins chronic stress depletes and rebuild your energy reserves. What are the benefits of IV drips and injections for low energy? Sessions at The IVy by HHMD allow you to rest and relax. You can schedule a visit at your convenience to take a break from the outside world. With most sessions lasting less than an hour, The IVy team replenish the fluids and vitamins you are missing so your body can recover more quickly. Your session allows you to relax with privacy and spa-like amenities so you not only get the vitamins you need to boost energy, but you can also recharge your mind with calming music, aromatherapy, and even a nap! 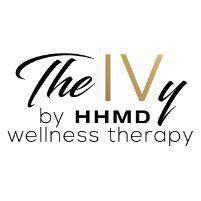 If low energy is slowing you down, call or schedule an appointment online at The IVy by HHMD today.